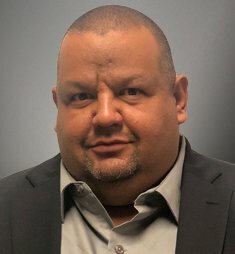 Dorian Zuleta is an Operations Manager at JohnHart Real Estate and is focused on maximizing the company’s efficiency while producing services effectively for our agents and client’s needs. Prior to working with JohnHart; his admiration for sports, music and comedy led him to work in all three industries for the past 20 years. After graduating from college he began working in the golf industry; through relationships built and blessed with a flair for entertaining and making people laugh, Dorian began writing, producing and co-hosting radio shows for two of the country’s biggest stations. This opened the door for him to collaborate with some of the biggest names in music and write comedy for some of the most popular movies and tv shows in the past 10 years. Doing what most people would consider a “dream job”, there was still a void that needed to be filled. While participating in a few charitable events, Dorian met Harout and was introduced to the culture that is JohnHart. Seeing Harout’s passion for success, willingness to see others succeed and admiration shown by his staff, peers and colleagues; Dorian knew this is where he wanted to start the new chapter of his life.